Whether you are thinking about starting a restaurant or are looking to rebrand your existing establishment, designing a memorable logo should be at the top of your agenda. You can choose between different options when designing a logo for your restaurant. You could opt to work with design agencies but this option can prove to be expensive. However, budgetary restraints should not prevent you from having a professional and memorable logo for your restaurant. If you want to design a unique logo at an affordable price, you should consider using logo design software. Logo design software is a web-based application that helps you to combine fonts, templates, and images to create the perfect logo. Some logo design software enables you to create logos for your restaurant in a matter of minutes. Different logo design software varies according to functionality and price. The most important aspects when selecting the best design software for your restaurant are user-friendliness, cost and custom settings. Similar to when you’re selecting your employee scheduling platform, these are all important aspects that can make or break your business. If you’re in the market for a software platform that can revolutionize how you manage your business, click on the link below to begin your trial of Deputy. Grid with pixels makes it easy to align objects. Shape-building tools, advanced path controls, and brushes to create a wide variety of logos. Effective perspective grids to help create realistic depth and distance in your designs. Gradients that can be applied to different images. However, if you have limited design skills, Adobe Illustrator can prove to be daunting because of its advanced features. At $20.99 per month, Adobe Illustrator costs more than most other logo design software. If you are short on time and design skills, Logo Maker may be the right software for you. The features include a collection of over 10,000 images that have been created by professionals. The customization options of Logo Maker can be regarded as limited. This is because after you have created a logo, you can only change the font, text, and color. Your main template design remains the same throughout the design process. Once you have created and designed a logo for your restaurant using Logo Maker, you will have to pay $39.99 to download it. This logo design software is useful because the cost is reasonable. However, the limited customization options mean that it may not be the best choice if you are looking for a very professional logo for your restaurant. Over 170 different logo templates and over 200 additional elements to drop into logos. Easy upload of your own designs and graphics for more customization options. A one-time fee of $37. LaughingBird is affordable, easy to use and is a good option if you are on a budget and want an informal logo. Summit Soft’s Logo Design Studio Pro offers affordable pricing coupled with advanced features, including vector graphics that provide you with the flexibility to amend the size of your logo, without compromising on the clarity. Over 2000 templates and over 6000 vector shapes, fonts and images. The ability to purchase more designs and themes. A fee of $29.99 for one month’s access. Logo Design Studio Pro software is designed with small business owners in mind. It caters to both design novices and people with more design experience. You have the choice of using pre-designed templates or starting from scratch when using this logo design software for your restaurant. This logo design software is one of the simplest platforms to use in terms of features. With a wide range of themes and icons, LogoYes will help you to design and create a logo for your restaurant in a short amount of time. LogoYes is cost-effective and easy to use logo design software. Given the price, there are no special effects and you are only able to use one graphic icon per logo. This logo design software is a great tool that has a number of customizable options for a one-time fee. Advanced coloring tools and several vector drawing tools. A $59.99 one-time payment is required to download the software. A wide variety of palette suggestions that are easy to use. SoThink logo design software is a reasonably priced option because it has a good choice of effects and tools. This logo design software may be suitable for restaurant owners who want a selection of a wide range of templates. DesignHill uses artificial intelligence (AI) and allows you to select a logo design, which results in the software generating different suggestions based on your preferences. Create logos in as little as five minutes. Different pricing tiers, starting from $20.00. Although this logo design software has limited choices in relation to customization, it will be suitable for you if you are on a tight budget. Easy to use drag and drop functionality. Pay only $10.00 for a high-resolution copy of your logo. 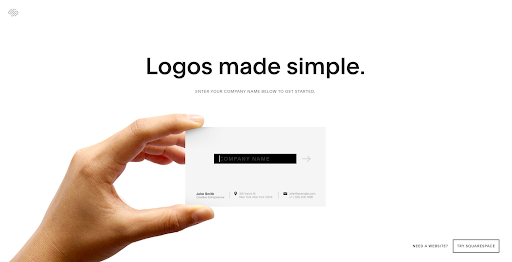 The Squarespace Logo Maker aligns with the Squarespace brand, which aims to provide easy-to-use templates so people with different levels of experience can produce eye-catching designs. Tailor Brands logo maker caters specifically to small businesses, so this logo design software may be ideal for you if you run a small to medium-sized restaurant. With Tailor Brands logo maker, you provide information about your restaurant and choose some basic design elements. A designer will create a logo, which you can customize to your satisfaction. Your logo is designed by a professional designer. Make as many customizations to your logo until you are happy with the final product. Pricing is based on a monthly subscription starting at $3.99. 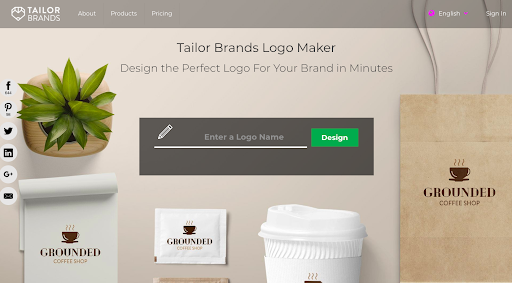 Hatchful by Shopify is a free logo design software that provides a wide range of choices. The tool is easy to use and was designed for mobile devices, so you can easily design your restaurant’s logo while on the go. Industry-specific templates so you have designs that are particular to the restaurant industry. Mobile-friendly design so there’s no need to even use a desktop to design your logo. Ability to upload your logo to your social media platforms. Free templates as well as premium versions that cost $8.99. If you are looking for logo design software by a well-known brand, then Hatchful could be the answer for you. Shopify is used and trusted by more than 500,000 businesses. This gives Hatchful a trust factor that may not be available with other lesser-known logo design software. This logo design software provides a combination of convenience and ease with advanced features. You can create a logo for your restaurant in minutes or take longer when using the various customization options. A fee of $19.99 is payable for unlimited downloads of your logo. If you are after a simple way to design your restaurant’s logo, you should consider trying GraphicSprings. Your logo could be ready in a few minutes if you already have an idea of the type of design you need. The one-time download fee also makes this logo design software attractive as there are no ongoing costs. 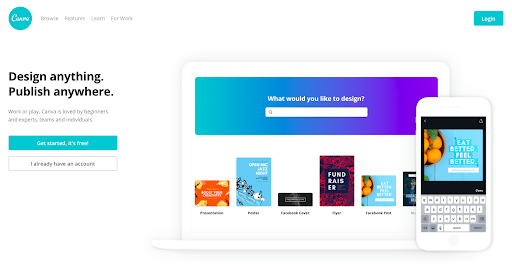 Canva is software that provides general design services. This software is popular amongst beginners with no design knowledge. Therefore, this could be an ideal choice for you if you do not have any design experience. Canva has a user-friendly interface with a professional and sleek layout. Free images, fonts, and graphics. Premium elements at $1 each. You can use Canva to design your restaurant’s logo for free or at a very low cost. However, you may have to pay for premium features, such as a transparent background. With Canva, you can download as many versions of your logo as you need. This is useful because you can see how different versions of your logo appear on your menu and other branded products. This tool is similar to DesignHill as it uses AI to determine the designs you will prefer, taking into account your choice of color, font and icon preferences. Customization of colors and sizes. Generation of a wide selection of custom-made logos based on your preferences. Single low-resolution files cost $20 and $65 for high-resolution files in various formats. LogoJoy provides a user-friendly approach to creating a logo for your restaurant. Although it uses similar technology to DesignHill, LogoJoy’s designs appear sleeker and may give a more professional feel. When starting a restaurant, there are many things to take into consideration. For example, leasing the best space and selecting the right menu. However, you can’t afford to neglect your branding in this process. As your logo is part of your brand, it pays to put thought and effort into creating a design that best reflects your restaurant. Luckily, designing a logo does not mean you have to break the bank. The 13 best logo design software options above include free, cost-effective and expensive options. The software you choose depends on the statement you want to make. One thing for certain is that regardless of the type of restaurant you operate, whether it’s a food truck or a casual dining eatery, your logo is a major part of enticing customers to try your food. Another essential aspect of operating a restaurant is organizing your hourly staff. After you have designed your logo and your branding has helped to attract customers, being adequately staffed is a key variable in attracting repeat business. 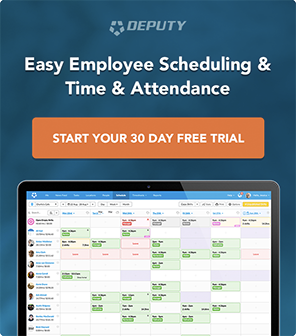 Deputy is a staff scheduling software that helps you schedule the right amount of staff at all times. Sign up for a free trial today (no credit card required!) to find out why over 90,000 businesses, including brands like Nike & Amazon, trust Deputy to take care of their staff scheduling needs. Click on the link below to get started. 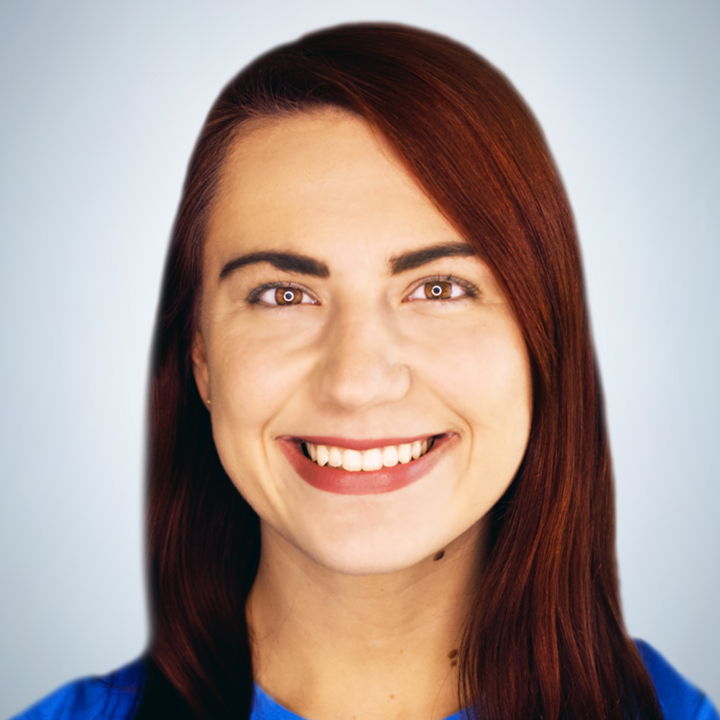 Jordan Rhodes Jordan is a Visual Designer on Deputy’s Design Team with years of experience in multimedia, marketing, and print design. She is dedicated to playing a part in portraying a strong and consistent Deputy brand via all branded marketing materials through the entirety of our customers’ journeys. She loves collaborating with her fellow Deputy designers, collecting vinyl records and attending live shows, traveling, and spoiling her two princess pups. Connect with her on LinkedIn + Twitter, and keep up with our Design Team on Dribbble.